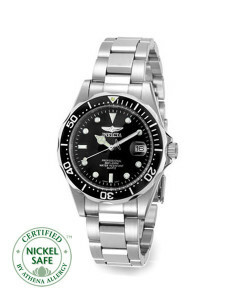 For five years in a row, NoNickel has been named the Official Nickel Free Workshop of the North Pole, an honor that is well-earned by a team of professionals who pull together the perfect mix of top quality nickel free products, friendly and helpful customer service, and speedy shipping through a site that is customized for ease of navigation and visual appeal! A Santa Claus Favorite- year after year! 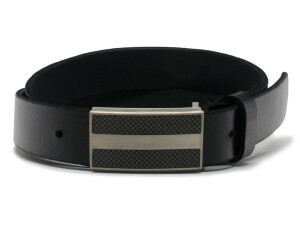 Mrs. Claus loves this watch! While verifying this rather surprising statement with Mrs. Claus, we learned that her nickel allergy had been causing some real problems with her role in keeping Santa on time. 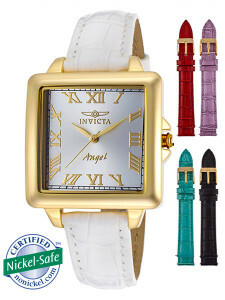 Wearing a wristwatch had caused an itchy wrist rash from nickel, so her favorite NoNickel product is the Women’s Watch – Invicta Angel which comes with five interchangeable straps. To quote Mrs. Claus, “While I adore the Christmas-y red strap, during the off season I like a little more variety.” The other straps are white, lilac, teal, and black making this a very versatile watch that will never cause an untimely nickel rash! Rudolph the Red-Nosed Reindeer apparently has suffered with a red itchy nickel rash in addition to his rather unfortunate red nose. With his starring role in The Reindeer Games, he selected the Mt. 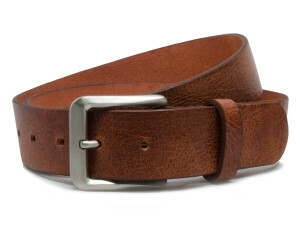 Pisgah Casual Titanium Russet Belt, stating he can’t afford to have an itchy nickel rash during this production, plus he noted the color was very complementary to his fur. 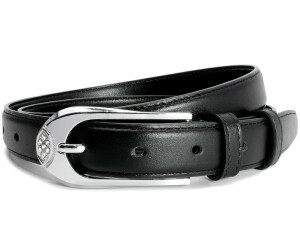 This Silver Square Belt Set is the natural choice for Hermey the Elf dentist. 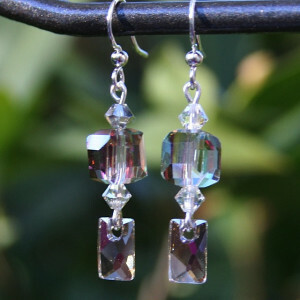 Clarice will be wearing these lovely earrings on New Years Eve. Rudolph has made reservations at an exclusive restaurant. After ordering Ice Flowers Hypoallergenic Earrings for his girlfriend, the Abominable Snowman had this to say, “Roar, Roar, Roar, Roar”. We think he means these earrings will look great on her, plus they are handmade with care to never cause a nickel allergy rash. Clarice, Rudolph’s doe friend, had a difficult time making the right choice for her New Year’s Eve date but finally decided Mirror, Mirror Hypoallergenic Earrings had the right combination of sparkle and style! 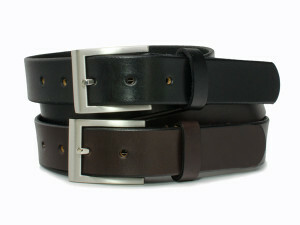 ← Rave Reviews and Free Shipping – Check Out Athena Allergy for Amazing Nickel Free Gifts!